Beautiful cottage home with master on the main in Active Adult community. Pride of ownership truly shows throughout this beautiful 3 bedroom 2.5 bath home. 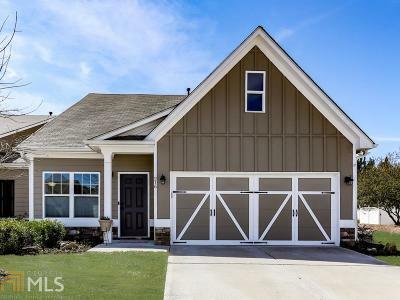 This home is located on the end with a beautiful outdoor area bordering the Etowah River. Within walking distance to shopping & dining. Minutes to new Hospital/Physicians offices. Features: Smart home, open floor plan, wood floors, recessed lighting, granite, stainless appliances, updated light fixtures, tray ceilings, covered patio, great fenced in yard, end unit, two car garage, walk in closets, plenty of storage, great roommate plan upstairs. Directions: 575 North To Exit 20 (Riverstone Pkwy) Turn Right. Second Light Turn Right On Riverpointe Pkwy, Community Just Down On The Right, At Clubhouse Turn Right, First Left Turn, House, Ahead On Right.